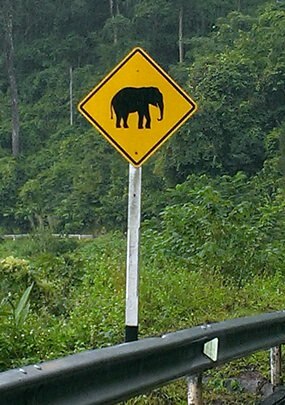 Kelly’s favorite road crossing sign in Thailand, seen in Chiang Dao. 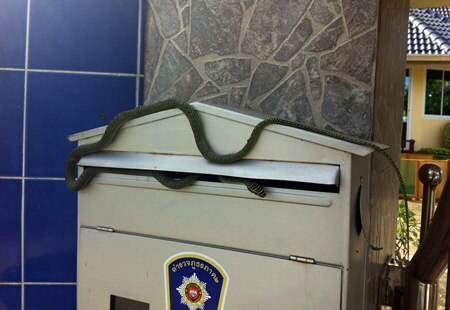 Angie spotted this snake in a police report box in Pattaya. Say no more, was all she had to say.